Freedom FM – 106.5 | Congratulations, Dalton! Home / Regional / Congratulations, Dalton! Congrats to Dalton Harris. Such a unique and talented Jamaican. His win proves that Jamaicans are not just reggae or dancehall singers. Wishing him further chart-topping success. Well done, Dalton. Well deserved. Keep up the good work & continue striving. Congratulations to Dalton Harris on yet another tremendous accomplishment. He was a force throughout the competition and his resilience on and off stage is testimony to his strong self-belief. I think INVICTUS fully captures his experience… Dalton has demonstrated that “It matters not how strait the gate… How charged with punishment the scroll… I am the master of my fate… I am the captain of my soul”. Peace, love and light. You have made Jamaica proud. To God be the glory. I can bet that all his critics a dead fi hungry now! Congratulations, to Dalton! I am so proud that another Jamaican has shown the world how talented and blessed we are as a people. That being said, I agree with Anthony, there was an undercurrent of sadness in each of his performances and solidified with his now exposed upbringing so I really hope that he seeks counselling to deal with past hurt and future pressure now that he is famous. Congratulations Dalton Harris. Your future is set, so make good use of the opportunities awaiting you. Hey Dalton, just want you to know I voted for you like crazy. However, going forward you won’t be getting my support singing those lovey dovey… songs. Reggae needs your voice as all of the living icons like Beres, Toots, Burning Spear, Third world, Israel Vibration, etc are old and cannot tour much longer. Don’t worry about your tight pants, [other artistes’] pants are way tighter than yours; just go in the studio and make some good reggae and you will continue to enjoy my support. 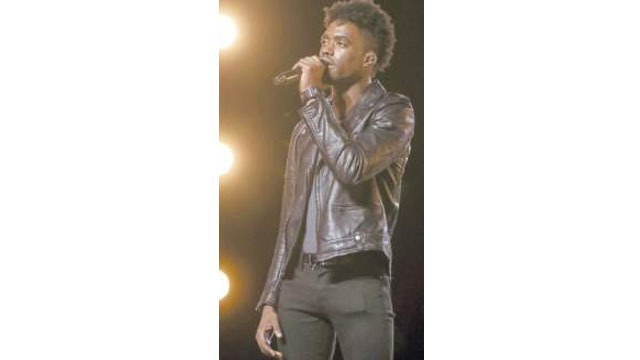 To me Dalton is a cross between Whitney and Luther — Jamaicans need to embrace him as ‘he is up there’ with the greatest singers of all time and has the potential to become one of the best Caribbean-born singers, ever. Like Rihanna, he has the capacity to engage people despite their age or ethnicity and this is a unique quality in an artiste. DALTON, DALTON, DALTON, you are MEGGA. I love you my bredda, they say you are the first black man to win X Factor UK and also you have brought more ratings to the show ’cause it was on a low ratings. Thanks to you, you have made history not only for Jamaica but of the rest of your brothers and sisters in the diaspora, the Caribbean and Africa. Also, your story has opened up for discussion, shedding light on parenting and non-parents alike, you have got their eyes open to look after the young ones and unfortunate situation. Your story is very spiritual, the Universe put you out there for a purpose, you even got my eyes open to give black men a chance and to forgive and move on, and also to take a good look at the orphanage homes. Your inspiration will change people’s lives. Again, Yahoshua bless you and shalom upon you and your families. Congratulations mi bwouy! You did it and made us Jamaicans so, so proud. The world is celebrating your success and achievement. Very well-deserved.. Sky is the limit now kid! Congratulations! I hope you put out a great album and I will be buying your work. You go Dalton woooooooooo. Yessssss!!!!! U defied the odds and you came out successful. I’m so happy for you. You put your enemies to shame. All who did a bad mouth yuh can go hide dem face now. And as for your mother, she can go hide too. God smiled down on you bro. Up top boss. Big up again. Congrats, Mr Harris, your hard work paid off. Congratulations, Dalton, so proud of you. R general : keeping it real. Wow, first Tessanne with The Voice, now Dalton with the X Factor UK… Jamaica to the world. He is no longer a ghetto bwoy. As Dalton Harris’ new single Power of Love says, “Make love your goal”. Make love your goal, Jamaicans. Stop the tearing down, stop the divide and conquer, stop the hate. We are all one people. in spite of our differences. Well done, Dalton. Well done. Well spoken. In the same breath, I am asking a rhetorical question. If both Dalton Harris and Buju Banton were to return to Jamaica at the same time over the weekend, who do you suppose would get the warmest welcome? Congrats, Mr Harris; you have made us PROUD. Never despise the small beginnings of anyone. This is the story of one using his God-given talent for good measure. He has earned over 1 million British pounds in prize value. That is over 162 million Jamaican dollars! Congratulations and seek a qualified financial advisor immediately. Congrats, mi boss. Thanks for putting the nasty-minded people to shame. Whenever we take someone’s life, we destroy a great Jamaican; what if we had taken Dalton’s life? Let’s unite brothers and sisters to build our Jamaica and give our young ones a chance like Dalton Harris. Well done, Dalton, you make me proud to be a Jamaican. Greetings from the Jamaican crew out a Germany: Barry, Dego, Errol, Mikey, Donald, and Greg. One love. Someone in the “know” needs to step forward and offer guidance to this young man. Congratulations are in order, in the meanwhile, the parochial-minded Jamaicans are a disgrace to the country, they show their shallowness and emptiness, venting and airing themselves on social media. 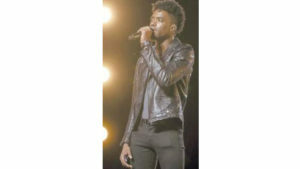 Congrats, Mr Dalton Harris; you’ve got so much talent. The sky is the limit for you. We all will be looking/listening for your future projects. Another bright spot for Jamaica’s music industry. Never give up on your dreams — persistence paid off. Jamaica is proud of your accomplishments, so just stay focused and do what you are born to do. Congratulations, Dalton! You have proven to many that anything can be achieved in life with hard work and confidence while staying humble. Show the haters how you roll by ignoring the negativity and just keep moving forward while they sit around watch, hate and be critical.